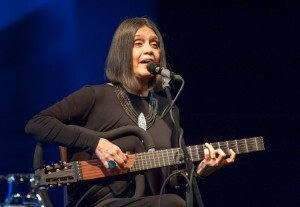 Six years have passed between Joyce Moreno’s appearances at Club Soda. The Carioca vocalist-guitarist is one of the premier composers of the post-bossa nova generation. This show was particularly special because Montreal bassist Dan Gigon was subbing into Joyce’s working band, in place of Rodolfo Stroeter. A musician who has been deeply entrenched in Montreal’s Brazilian scene for decades, it was with a sense of pride that I listened to him slotting into the pocket provided by drummer Tutty Moreno (Joyce’s husband) and pianist Helio Alves. Joyce began the evening with “Samba de mulher,” which declared her personal style of songwriting with unpredictable melodic choices and seamless modulation. Joyce anchors the music so deeply with her guitar playing, that Alves and Gigon seem like an orchestration of her instrument. 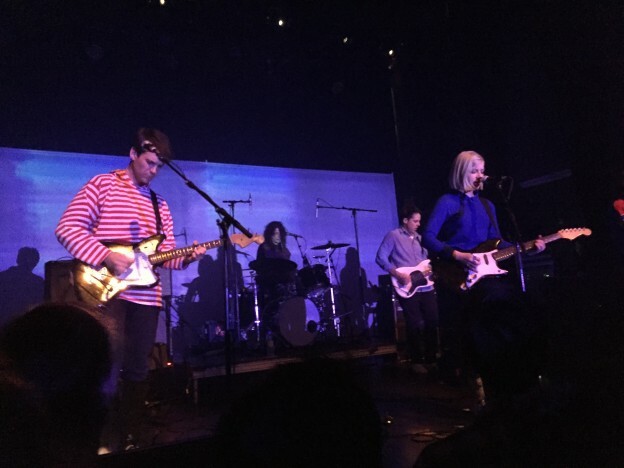 It took the rhythm section a verse or two to acclimate to each other – understandably so. Tutty has a phenomenally light touch on the drums, with his finesse and his swing contributing to the groove in place of musicality. Alves has integrated a profound sense of blues and bebop into his piano playing, where he took one of many fantastic solos. A more traditional-sounding samba, “Puro oro,” and a gorgeously serpentine ballad, “Essa mulher,” followed. The ballad, originally recorded by none other than Elis Regina, was set up by a stunning Alves solo piano intro, and revealed Joyce’s perfectly centred intonation. There is a similarity in timbre between Elis and Joyce – voices soaked in honey, navigating unmistakeably Brazilian melodies with ease. The encore of another Brazilian chestnut, “O morro não tem vez,” featured Alves at his most freely expressive and rambunctious, with permutations of “A Love Supreme” peppering his solo. The band saluted their local ringer, Gigon, and all four were beaming as they left the stage, much like the audience. This entry was posted in Reviews and tagged club soda, joyce moreno, montreal jazz fest on July 3, 2015 by CKUT Music Coordinator.